Hi, I am Lana Samarski, an Entrepreneur and a Business Coach. My passion is to assist other Entrepreneurs and those seeking to become ones, to create the life that they desire, through sharing my first-hand experiences and insights while building my Direct Sales Entrepreneurial Enterprise and creating my dream life. 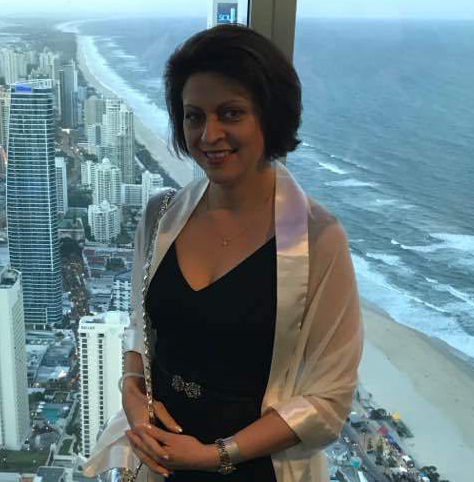 I came to Australia as an independent migrant with my husband and a little daughter in 1992 from former Soviet Union. Between us we had about $300, a loan of $3,500 to pay for our tickets to arrive to Australia and 2 suitcases ( mostly with our 4 y.o. daughter’s clothes). We didn’t have much of English language skills, friends or family in Australia or any connections… In fact, when our plane landed in Brisbane International Airport, my husband and I looked at each other and wondered: What would we do next? Where can we find a place to sleep? Where would we go as newcomers? Thankfully, somebody met us at the airport from the Immigration Department and assisted with our first steps to settle in a new country. We didn’t have much, however what we did have were our DESIRE to achieve, WILINESS TO WORK and BELIEF THAT WE CAN CREATE THE LIFE THAT WE DESIRE. With that, we embarked on a journey of learning, searching and working! I started my first business after working a few years as a Mathematics and Physics Teacher in a High School in Brisbane, when I realised that my income was always limited to a certain amount. All I knew at the time was to open a Tutoring Centre in key school subjects, so I created a special system where I worked in small groups with specifically designed programs, which was so successful that ALL my hours were completely absorbed into my conventional business and our street (I worked from home) was always packed with cars of people dropping off and picking up their kids! Then I found THE ROAD TO SUCCESS through FINDING MY OPPORTUNITY! During a tennis game of my son ( yes by that time we had a son as well, who was 10 y.o.) with another boy, I was sitting next to the other boy’s mother and she told me about a business she was running, trips she has been to with her husband and the lifestyle she had… I was envious, to say the least, as I was tired and overworked and was looking for solutions. Without understanding much, I started in that particular company and was blessed to find the right fit for me, as I am still, 15 years later, with the same company today! I replaced my teaching and my small business income in just short few months, closed my conventional tutoring business (yes, I found the replacement tutors for my many students), resigned from my teaching job and NEVER LOOKED BACK! I am always sad to see people who give up on their dreams! That is the main reason why, after providing training for my business team with my company with great success, I decided to share some of my first-hand experiences and insides with the world! After all, FROM NOTHING (oh, wait – from negative $3,500) TO A 7-FIGURE INCOME – there is a great deal to share: MENTAL ATTITUDE, THINKING PROCESSES, FINDING THE RIGHT OPPORTUNITY, DEVELOPING A PASSION, DEVELOPING NEW SKILLS, FINDING THE RIGHT TECHNIQUES AND METHODS AND MORE! Join me on my Blog as I share MY PERSONAL FIRST-HAND EXPERIENCES AND INSIGHTS TO HELP YOU CREATE THE LIFE THAT YOU DESIRE!